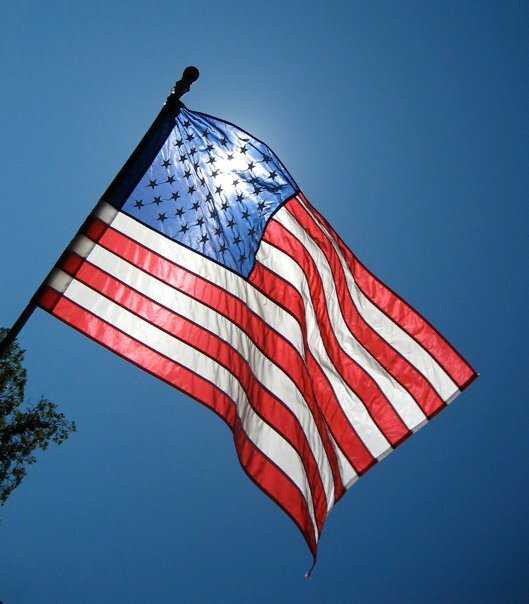 On this Memorial Day weekend, let us not forget those who fought and paid the ultimate sacrifice so that we might live freely in this beautiful country. May God bless our nation’s heroes buried at Arlington National Cemetery. My friend Jim recently posted on Facebook, “… every Memorial Day, I go to Arlington National Cemetery… and get to hang out with our Nation’s heroes.” Beautifully said Jim, and thank you for allowing me to use your two photographs. 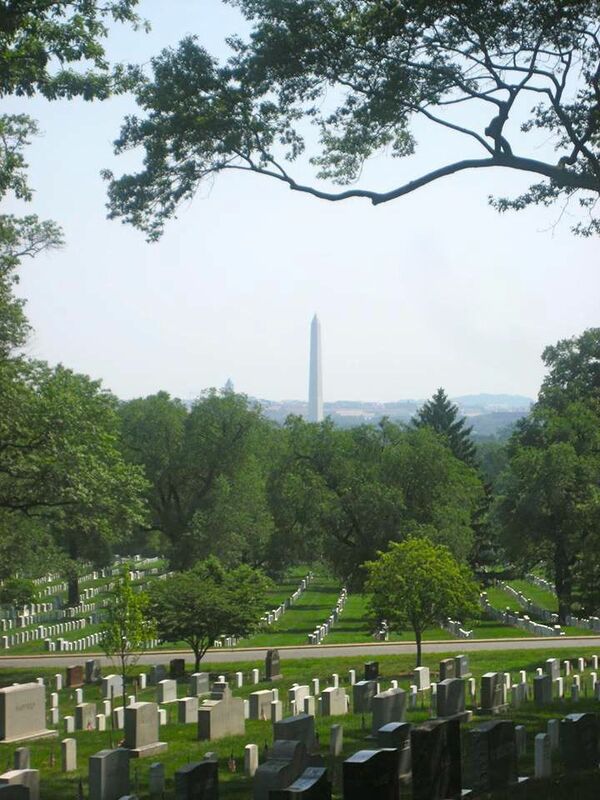 From Arlington National Cemetery, the Washington Monument can be seen in a distance. We truly have a beautiful nation’s capital. A few years ago, the sun shining through our backyard American flag was so beautiful that I stopped cutting the grass and grabbed my camera. I’m so glad that I took the time to appreciate this beautiful sight, and so thankful to live in this glorious country! 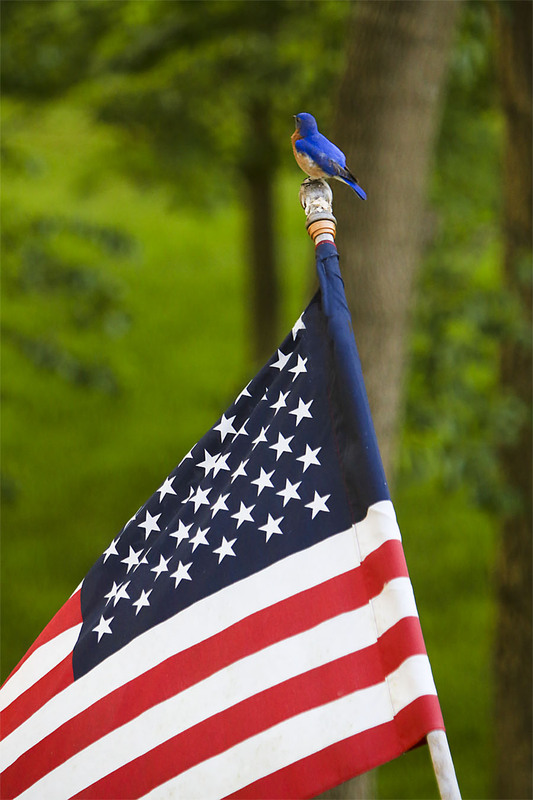 Our bluebird has always been very patriotic. He loves sitting on the flag pole watching his surroundings almost as much as Bill enjoys photographing him. 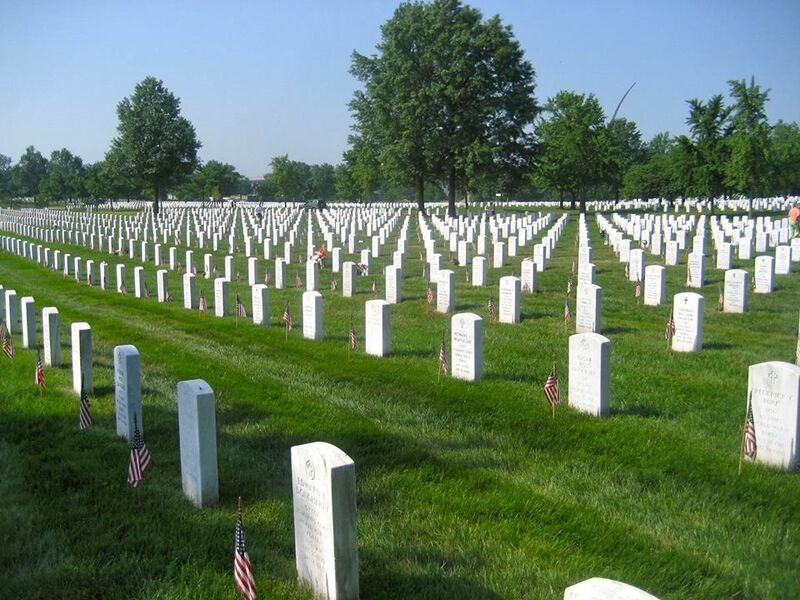 Have you ever visited Arlington National Cemetery? I have not, thank you for the suggestion.